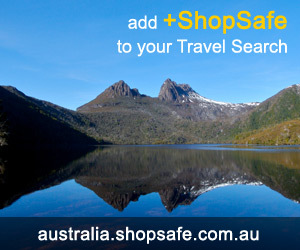 There are 5 shops in the ShopSafe USA ShopSafe Websites Shopping Category. Want to shop? Secure online shopping starts at ShopSafe USA - an online shopping directory where we list the best USA online shops and stores. We've checked the security, delivery, range of goods and prices of secure online shops and have 918 shops listed in 56 categories, as well as special offers, bargains and gift ideas. Want to shop? Online shopping is so easy with ShopSafe - an Australian online shopping directory we list the top Australian online shops and stores. We've checked the security, delivery, range of goods and prices of the online shops and have 883 shops listed in 72 categories, as well as special offers, bargains and gift ideas. Want to shop? find business online worldwide - an online shopping and business directory. We list only the top shops as well as Business and Government Websites. We've checked the security, delivery, range of goods and prices of the online shops and businesses and have 289 shops, businesses and Government Departments listed in 37 categories, In the top menu bar you will find special offers, bargains and gift ideas from ShopSafe. At ShopSafe New Zealand we've got everything from toy shops and gift shops for your Christmas shopping to supermarkets for your weekly shop. Compare prices at our many book shops or CD shops, or send some flowers or chocolates for Valentines Day! Click on the shopping categories on the left to find the online store you're looking for. Want to shop? Online shopping is easy with Shopsafe. A UK online shopping directory, we list only the secure UK online shops so you can shop on the Internet with confidence. Shop online at the UK directory of Secure UK Shops - Shopsafe. We've checked the security, delivery, range of goods and prices of the online shops and have over 2000 shops listed, as well as special offers, bargains and gift ideas. All else failed? Let us help. If you want to see more ShopSafe Websites here, please e-mail shopsafe@shopsafe.cc. Please do not change the subject line of your email. If the subject line does not contain "Add to ShopSafe Online Shopping" it will not be read.